Little astronomers will be in heaven with the Little Star Musical Pull. 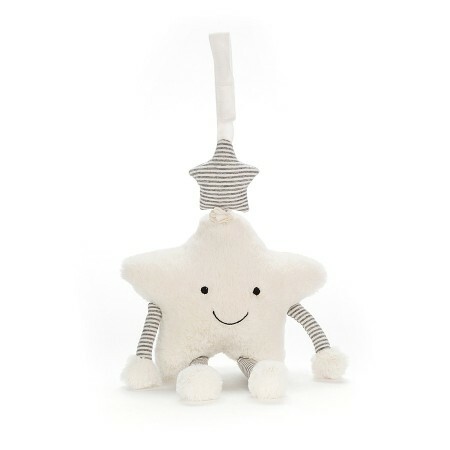 Scrumptiously soft, our cloudy-cream star plays Brahms' Lullaby when Baby tugs! With stripey pebble jersey limbs, a smiley face and a tiny star hat, this pull is adorable for all. No batteries needed - this star's powered by wishes!